The newly enacted tax law is a boon for investors. Specifically, the law reduces your tax on long term capital gains and qualified dividends. In addition, you now have lower federal tax rates on your regular income such as salary and interest income. The new law reduces the maximum tax on long term (LT) capital gains to 15%, down from 20%. This new rate applies to sales occurring on or after May 6, 2003. Here’s better news – taxpayers in the 10% and 15% brackets will pay only 5% on their LT gains after May 6th and zero percent in 2008. Short term (ST) gains do not qualify for these new lower rates. Gains from investments held one year or less are ST gains and are still taxed as ordinary income, which means your regular income tax rate applies. For example, if you hold appreciated stock for exactly one year, you potentially could owe up to 35% on your gain or profit. If you held the shares for just one more day and then sold, you would now have a LT gain, being that it was held for more than a year. In this case, your tax rate drops from 35% to only 15% on the profit. So pay attention to your holding period when you contemplate selling some securities. 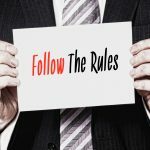 If you are selling real estate, the above rules do not apply. The 25% maximum tax on real estate gain rules still applies to LT gains attributable to depreciation. Gains above and beyond the recaptured depreciation are eligible for the new reduced capital gains rules. Keep in mind that capital gains in your retirement accounts such as IRA’s and 401(k)’s will still be taxed at your regular tax rate of up to 35% upon their withdrawal from the retirement account. In conclusion, keep a close eye on the holding periods of your investments. Also, if you tend to buy and sell stocks in less than a year’s holding period, do those type of trades in your retirement account to take advantage of full tax deferral.